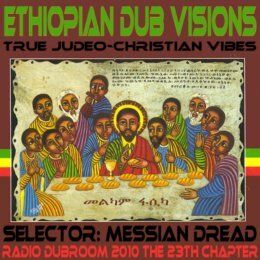 WWW, December 2010 - One vocal track, followed by 20 different DUB tracks: here is over one hour and twenty minutes of pure Drum and Bass niceness, all inspired by the Ethiopian Visions that come with the Rastaman's Consciousness. The set starts of with a vocal track by Earl Zero riding a Zion Train riddim, singing about the herbal inspiration that Babylon don't want us to feel. After that, we're diving into a DUB selection with more than extra bass, everything mixed together live into one long non-stop mix by Messian Dread.